It's so easy, it works inside Windows. A robust and scalable document management system that is backed by the proven performance of Microsoft SQL Server. Windows integration combines with convenient cloud hosting for an easy-to-use document management solution. Take your office on the go and access files anywhere in a Web Browser, on a tablet, or virtually any smart phone. Speed up processes and eliminate errors in your business by replacing manual paper driven procedures with electronic filing, routing, reviews, and approvals. Document management automates your business, setting up a foundation for improvement. Learn more. Watch informative seminars that show how document management works. Read insightful papers on document management technology and solutions. Learn the results customers have had with our document management system. See how the system works right now, and let us know when you would like a demo. See a complete list of Document Locator features. Full text search the contents of files. Route, review and approve files. Automate steps, from simple to complex. Convert paper to full-text searchable files. See a complete list of Document Locator Solutions. Read about our customers’ success in Document Locator Case Studies. 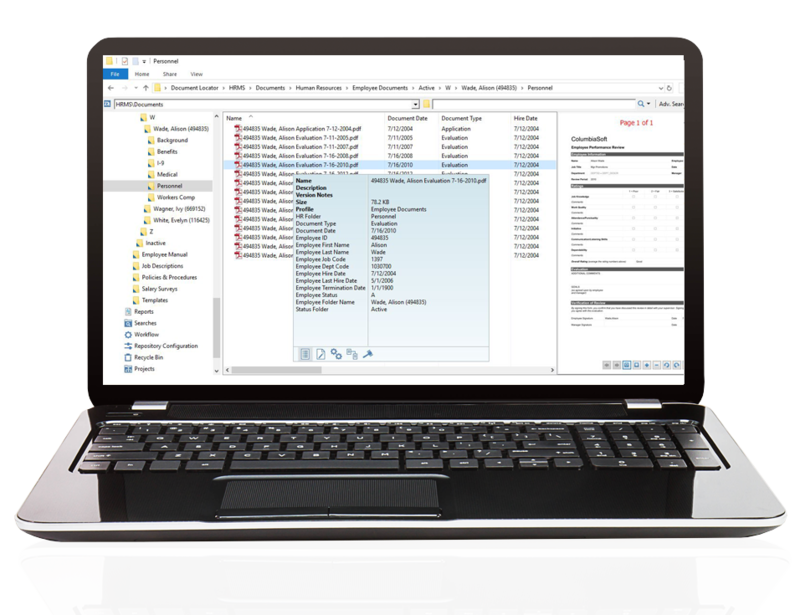 "Document Locator’s deep integration with the Microsoft architecture has made it very easy to train new users."